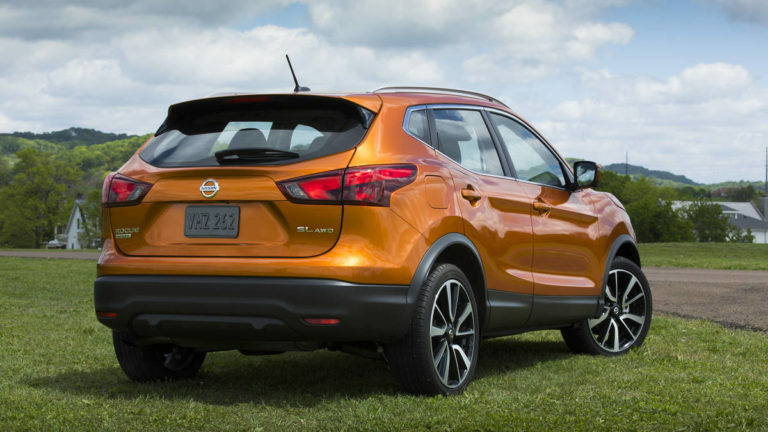 THE GOOD: The Rogue Sport has super-cute looks and above-average cargo space. THE BAD: Apple CarPlay or Android Auto are not offered. An anemic engine makes for tough freeway merging, and driver’s aids come at a steep price. THE BOTTOM LINE: Strong looks and decent handling can’t overcome the weak infotainment tech and disappointing engine. Picture yourself behind the wheel of your car. What’s in front of you? Behind you? More than likely these days, it’s a small SUV of some sort. America has gone cuckcoo for crossovers as of late, and manufacturers are more than willing to indulge our addiction. 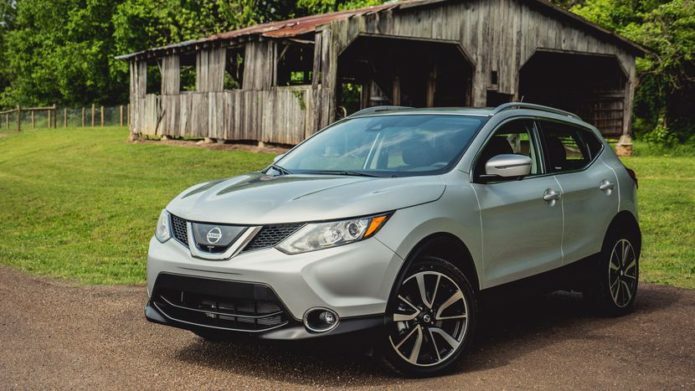 Case in point: the 2017 Nissan Rogue Sport. 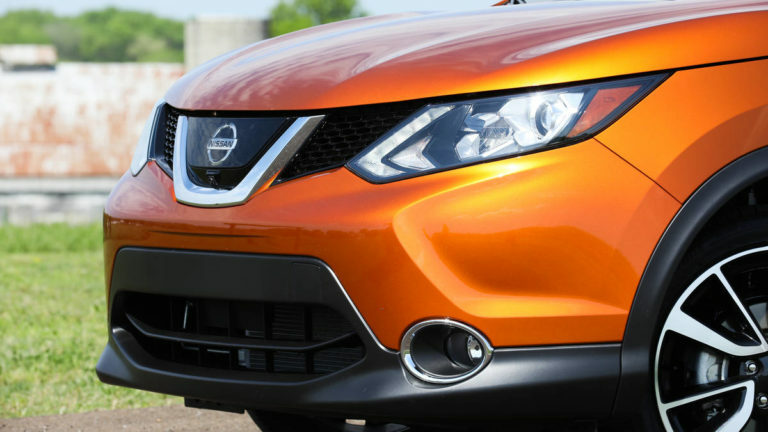 The five-passenger Rogue Sport slots in between Nissan’s funky-looking Juke and its larger Rogue with its optional third row. Offered in S, SV or SL trim lines with either front or all-wheel drive, it’s no wonder Nissan decided to bring this little guy stateside. It’s long been a huge hit in Europe under the name Qashqai (say it with me: cash-kai) and joins the subcompact crossover SUV segment with the likes of the Honda HR-V, Subaru Crosstrekand the quirky Toyota C-HR. However, as popular as it’s been in Europe, tech-savvy folks here in America might be disappointed. Advanced driver’s aids like adaptive cruise control, blind-spot monitoring and lane-keeping assist are all optional, and even then, only on SV and SL trims. My top-of-the-line SL needed the $2,280 SL Premium Package to get blind spot monitoring and the $570 Platinum Package to score adaptive cruise control and lane-departure warning. During my week with the car, I found that the adaptive cruise control was pretty good at keeping traffic frustrations at bay. The system will bring the Rogue Sport to a complete stop for a maximum of two seconds, — any longer and the driver must hit the resume button to re-engage the system. While some systems stay engaged for longer, there are many that don’t work at all in stop-and-go traffic. Kudos to Nissan for making its adaptive cruise control useful for those with an “Office Space”-like commute. When traffic clears, the lane-departure warning can keep drivers from straying outside the lines. A little bit of distracted driving and the system issues a visual and audible warning, then countersteers to bring things back in line. The system is easily turned off with the touch of a button. 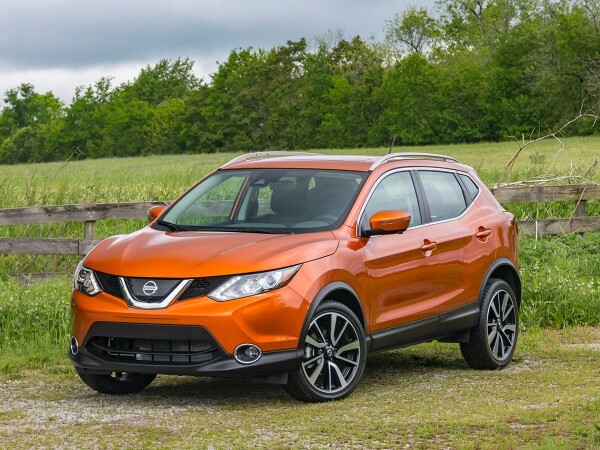 A tiny 5-inch touchscreen is standard, but my Rogue Sport tester featured the optional NissanConnect 7-inch display. In today’s market, a 7-inch screen is pretty average, but Nissan hasn’t done much to distinguish its infotainment system. Apple CarPlay and Android Auto are not offered and while the onboard navigation got me around the unfamiliar city of Nashville for a week, inputs were slow and the graphics could use a refresh. There is only one engine on tap for the Rogue Sport, a 2.0-liter four-cylinder powerplant mated to a continuously variable transmission. At 141 horsepower and 147 pound-feet of torque, the engine offers similar outputs to that of its Honda HR-V and Toyota C-HR classmates, but the Subaru Crosstrek offers a bit more power, while the Jeep Renegadecan be had with 180 ponies. Further, the Subaru, Jeep and Honda can be had with a manual transmission while the Rogue Sport is two-pedal only. Somehow, this tiny little engine gets pretty miserable gas mileage. My all-wheel drive tester gets an EPA fuel rating of just 24 mpg in the city, 30 mpg on the highway. Not only is that less than much of the competition, it’s barely better than the larger Rogue. 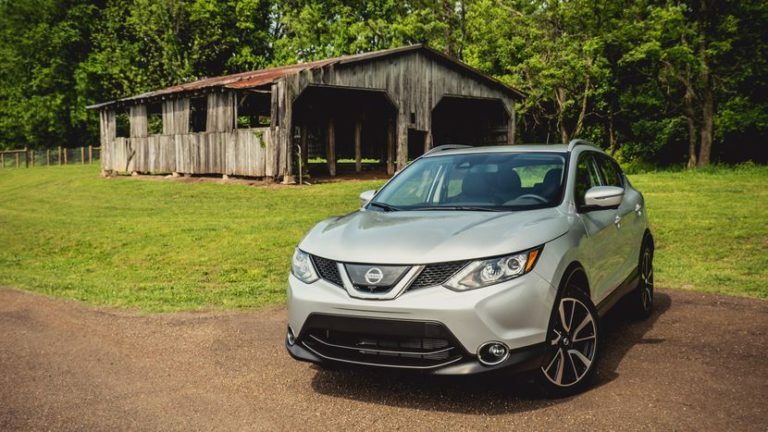 Despite the Rogue Sport’s smaller engine and size, in all-wheel drive it’s only 1 mpg better in the city and nets the same on the highway as the standard Rogue. The EPA gives both a combined rating of 27 mpg, but during my week I only saw 22.3 mpg combined in the smaller Rogue Sport. As for sporty acceleration in the Rogue Sport, well, not so much. That tiny little four-banger under the hood just doesn’t have enough guts. You’ll have to plan your freeway merges carefully and woe betide the driver forced to accelerate out of a sticky situation. Fortunately, the brakes are good, with a steady, linear feeling, and the Rogue Sport’s short wheelbase makes for easy maneuvering in traffic, parking lots and cramped city streets. I can forgive an underpowered car if it has good suspension and communicative steering, but the Rogue Sport only checks two of those boxes. The suspension is tight enough to keep the Rogue Sport from falling on its face in the turns, yet it’s not so stiff as to rattle your fillings during daily driving. It handles perfectly fine, however, the steering adds nothing to the mix. It’s light, numb and doesn’t improve much with Sport mode. Pity, too as the Rogue Sport is pushing towards Mazda CX-3 levels of fun. The Rogue Sport is a smidge larger than other subcompact SUVs, and that’s reflected in its excellent cargo space. With 22.9 cubic feet behind the second row seats and 61.1 overall, the only other vehicle that can touch it is the Honda HR-V. The Rogue Sport bests the Toyota C-HR, Jeep Renegade, Kia Niro and Buick Encore by at least 7 cubic feet of space for the Niro and up to nearly 25 in the C-HR. If it were me, I’d stick to the mid SV trim and add the $1,500 Premium Package to get the larger touchscreen, a 360-degree camera and blind-spot monitoring. It’s $3,000 more to step up to the SL trim, only to have the option of paying another $2,850 for driver’s aids that you can get standard on the Toyota C-HR. No, thanks. The 2017 Nissan Rogue Sport starts at $21,420 but my full-blown tester stickered at $31,240, including destination. The little crossover might be a big hit in Europe and will probably be just as popular here, but there are other subcompact SUVs that offer just as good driving dynamics but with better cabin technology and efficiency.